William Osler Health System (Osler)is one of the largest networks of community hospitals in Ontario, comprised of two acute care hospitals - Etobicoke General and Brampton Civic - as well as Peel Memorial in Brampton, which has recently been redeveloped and is now known as the Peel Memorial Centre for Integrated Health and Wellness. Osler offers a wide range of health services, with care provided by skilled health professionals working in multidisciplinary teams. Osler's commitment to the community is to provide healthcare in a manner that puts patients and their families first. We are seeking two Anatomic or General Pathologists to join a Laboratory Medical team that includes 12 Anatomic Pathologists, and one full-time Hematopathologist. Subspecialty fellowship training is preferred, with areas of interest including head and neck, pulmonary, gastrointestinal and liver, and molecular pathology, though fellowship training is not essential, and otherwise strong candidates will also be considered. Both new graduates and candidates with experience in clinical practice are invited to apply. The successful applicant must be licensed to practice in Ontario and have Royal College certification in Anatomical or General Pathology, or equivalent certification. Our department is busy, with a case mix weighted towards complexity, an ideal opportunity for a pathologist wanting to grow their career. OTTAWA, ONTARIO (CANADA). 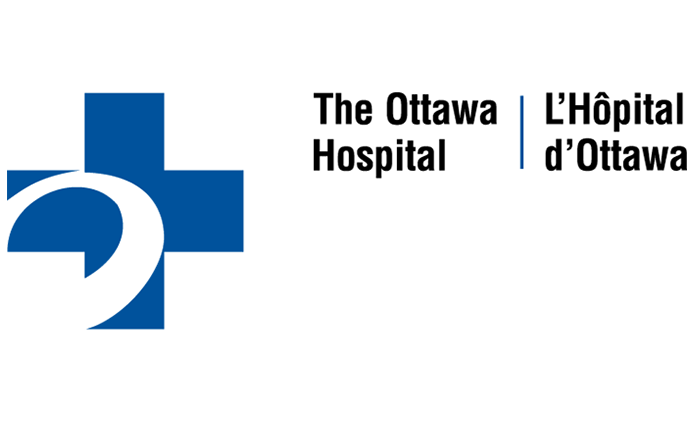 Applications are invited for a vacancy as an academic dermatopathology anatomical pathologist at The Ottawa Hospital. The successful candidate will participate in relevant diagnostic services, basic and/or translational research, and teaching undergraduate, graduate and postgraduate trainees. Applicants should be willing to participate in one or more other subspecialties in addition to their primary subspecialty, as assigned by the Division Head. They must be eligible for an academic appointment in the Department of Pathology and Laboratory Medicine at the University of Ottawa. Minimum requirements include an M.D. degree, eligibility for a license to practice in Ontario, Royal College of Physicians (Canada) certification or equivalent qualification in Anatomical Pathology, plus subspecialty fellowship training in diagnostic dermatopathology. The competition will remain open until the position is filled. Compensation will be according to the Ontario Ministry of Health and Long Term Care’s Uniform Minimum Level of Compensation and Laboratory Medicine Funding Framework Agreement. • Subspecialty fellowship training in diagnostic dermatopathology. 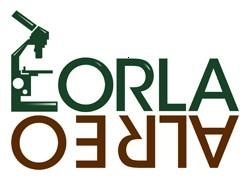 As a pre-condition of employment, all new EORLA employees will be required to obtain and provide a satisfactory Criminal Records Check dated within six (6) months from the date of issue. It is mandatory that you provide a thoroughly completed application with all the necessary information to help us determine whether you meet the qualifications as outlined on the job posting. Failure to do so will result in your being screened out of the competition. We thank all those who apply but only those selected for further consideration will be contacted. Thank you for your cooperation and assistance. OTTAWA, ONTARIO (CANADA). Applications are invited for a vacancy as an academic renal anatomical pathologist at The Ottawa Hospital. The successful candidate will participate in relevant diagnostic services, basic and/or translational research, and teaching undergraduate, graduate and postgraduate trainees. Applicants should be willing to participate in one or more other subspecialties in addition to their primary subspecialty, as assigned by the Division Head. They must be eligible for an academic appointment in the Department of Pathology and Laboratory Medicine at the University of Ottawa. Minimum requirements include an M.D. degree, eligibility for a license to practice in Ontario, Royal College of Physicians (Canada) certification or equivalent qualification in Anatomical Pathology, plus subspecialty fellowship training in diagnostic renal pathology. The competition will remain open until the position is filled. Compensation will be according to the Ontario Ministry of Health and Long Term Care's Uniform Minimum Level of Compensation and Laboratory Medicine Funding Framework Agreement. • Subspecialty fellowship training in diagnostic renal pathology. OTTAWA, ONTARIO (CANADA). Applications are invited for a vacancy as an academic GI/Liver anatomical pathologist at The Ottawa Hospital. The successful candidate will participate in relevant diagnostic services, basic and/or translational research, and teaching undergraduate, graduate and postgraduate trainees. Applicants should be willing to participate in one or more other subspecialties in addition to their primary subspecialty, as assigned by the Division Head. They must be eligible for an academic appointment in the Department of Pathology and Laboratory Medicine at the University of Ottawa. Minimum requirements include an M.D. degree, eligibility for a license to practice in Ontario, Royal College of Physicians (Canada) certification or equivalent qualification in Anatomical Pathology, plus subspecialty fellowship training in diagnostic GI/Liver pathology. The competition will remain open until the position is filled. Compensation will be according to the Ontario Ministry of Health and Long Term Care's Uniform Minimum Level of Compensation and Laboratory Medicine Funding Framework Agreement. EORLA operates laboratory services for 16 acute-care hospitals in the Champlain Local Health Integration Network of Eastern Ontario. The Division of Anatomical Pathology at the Ottawa Hospital processes more than 51,000 surgical pathology specimens per year. The Division has a state-of-the-art molecular oncology diagnostic laboratory including next generation sequencing technology in order to support personalized therapy. This advertisement is directed primarily, but not solely to citizens or permanent residents of Canada. Women, aboriginal people, members of visual minorities and persons with disabilities are encouraged to apply. Bilingualism is an asset but not a necessity. OTTAWA, ONTARIO (CANADA). Applications are invited for a vacancy as an academic pulmonary anatomical pathologist at The Ottawa Hospital. The successful candidate will participate in relevant diagnostic services, basic and/or translational research, and teaching undergraduate, graduate and postgraduate trainees. Applicants should be willing to participate in one or more other subspecialties in addition to their primary subspecialty, as assigned by the Division Head. They must be eligible for an academic appointment in the Department of Pathology and Laboratory Medicine at the University of Ottawa. Minimum requirements include an M.D. degree, eligibility for a license to practice in Ontario, Royal College of Physicians (Canada) certification or equivalent qualification in Anatomical Pathology, plus subspecialty fellowship training in diagnostic pulmonary pathology. Additional subspecialty training would be an asset. The competition will remain open until the position is filled. Compensation will be according to the Ontario Ministry of Health and Long Term Care's Uniform Minimum Level of Compensation and Laboratory Medicine Funding Framework Agreement. OTTAWA, ONTARIO (CANADA). Applications are invited for a vacancy as an academic gynecological anatomical pathologist at The Ottawa Hospital. The successful candidate will participate in relevant diagnostic services, basic and/or translational research, and teaching undergraduate, graduate and postgraduate trainees. Applicants should be willing to participate in one or more other subspecialties in addition to their primary subspecialty, as assigned by the Division Head. They must be eligible for an academic appointment in the Department of Pathology and Laboratory Medicine at the University of Ottawa. Minimum requirements include an M.D. degree, eligibility for a license to practice in Ontario, Royal College of Physicians (Canada) certification or equivalent qualification in Anatomical Pathology, plus subspecialty fellowship training in diagnostic gynecological pathology. The competition will remain open until the position is filled. Compensation will be according to the Ontario Ministry of Health and Long Term Care's Uniform Minimum Level of Compensation and Laboratory Medicine Funding Framework Agreement. TORONTO, ONTARIO (CANADA). Sunnybrook Health Sciences Centre, an academic institution fully affiliated with the Department of Laboratory Medicine and Pathobiology, University of Toronto, invites applications for the position of Medical Director of Molecular Diagnostics, in the Department of Laboratory Medicine & Molecular Diagnostics (LMMD). Applicants must hold Royal College of Physicians and Surgeons of Canada certification in Anatomical Pathology or equivalent, and be eligible for medical licensure by the College of Physicians and Surgeons of Ontario. The successful applicant must possess a strong understanding of current and future developments in molecular diagnostics, and a demonstrated track record of excellence in the development, implementation, and reporting of clinical molecular diagnostic assays, including next generation sequencing-based tests. A PhD which was molecular biology-related or certification by Canadian College of Medical Genetics or equivalent body would be an asset. Clinical and administrative duties will include providing medical oversight of molecular diagnostic testing, including reporting of molecular test results; interfacing with clinicians, researchers, and industry to assess ongoing needs; evaluating and implementing new molecular diagnostic tests in collaboration with LMMD medical/scientific and technical staff; and reporting of Anatomical Pathology cases, with subspecialty expertise in Gastrointestinal Pathology or Dermatopathology preferred. As a Clinician-Investigator, the successful applicant will foster excellence in translational research and innovation in molecular diagnostics. Opportunities for teaching will also be available. The applicant must be eligible for appointment in the Department of Laboratory Medicine and Pathobiology, University of Toronto (www.lmp.utoronto.ca), with rank commensurate with qualifications and experience. Salary and benefits are in accordance with the uniform minimal level of compensation for Laboratory Physicians in the Province of Ontario (currently $348,110/annum). The Department of LMMD at Sunnybrook is comprised of five Divisions, with 30 medical/scientific staff and approximately 250 technical, research, and administrative staff. The Molecular Diagnostics platform supports all 5 Divisions, and is undergoing expansion as a critical component of Sunnybrook’s Strategic Plan 2018-21, Inventing the Future of Health Care in Ontario and Beyond. The Search Committee will consider applications received by March 31, 2019. Only short-listed applicants will be contacted. Sunnybrook Health Sciences Centre and the University of Toronto are strongly committed to diversity within its community and welcomes applications from racialized persons, women, Indigenous/Aboriginal Peoples of North America, persons with disabilities, LGBTQ persons, and others who may contribute to the further diversification of ideas. TORONTO, ONTARIO (CANADA). The Laboratory Medicine Program of the University Health Network (UHN) is seeking an Anatomical Pathologist with diagnostic and research training/expertise in liver or gastrointestinal/liver, including transplant pathology. The successful candidate will join a large academic laboratory faculty with diverse diagnostic expertise, teaching responsibilities, basic and clinical research activities. Candidates must have or be eligible for licensure in the Province of Ontario and Fellowship of the Royal College of Physicians and Surgeons of Canada, or equivalent. Subspecialty Fellowship training in gastrointestinal/liver or liver pathology is required, and training in liver transplant pathology is essential. Responsibilities will include participating in diagnostic service for UHN and its client facilities, teaching and research activities. The successful candidate is eligible for an academic appointment in the Department of Laboratory Medicine and Pathobiology, University of Toronto, with a rank commensurate with academic qualifications. University Health Network is one of Canada's largest acute care teaching organizations with over 1000 beds and 7 priority programs in Advanced Medicine & Surgery, Oncology & Blood Disorders, Transplantation, Neural & Sensory Science, Heart & Circulation, Musculoskeletal Health & Arthritis, and Community & Population Health. It maintains a major commitment to excellence in healthcare delivery, research and teaching. University Health Network is a fully affiliated hospital of the University of Toronto. The University of Toronto and University Health Network are strongly committed to diversity within its community and welcome applications from visible minority group members, women, aboriginal people, persons with disabilities, and others who may contribute to the further diversification of ideas. All qualified candidates are encouraged to apply however Canadians and permanent residents will be given priority. University Health Network is a major landmark in Canada's healthcare system, and a teaching hospital of the University of Toronto. Building on the strengths and reputations of each of our four remarkable institutions, the organization brings together the talent, resources, technology and skills that make it an international leader in healthcare. The Tanz Center for Research in Neurodegenerative Diseases (Tanz CRND) at the University of Toronto and the Krembil Research Institute (KRI) at the University Health Network in Toronto Canada are seeking an early to mid-career neuropathologist clinician-scientist in the area of neurodegenerative diseases, particularly but not exclusively Parkinson's disease and other degenerative parkinsonian disorders.